In the world of gender studies, Michael Kimmel is what you might describe as an early adopter. He has spent much of the last forty years calling himself a feminist. But for a good deal of his career as an academic and writer, he has been thinking and exploring the behavior of men, and believes that feminism can be men’s salvation. In this talk, he explains why we need to rethink the way we educate our boys to prevent them from falling through the cracks. 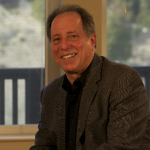 Dr. Michael Kimmel is one of the world’s leading experts on men and masculinities. He was called “the world’s most prominent male feminist” in The Guardian newspaper in London. He is the SUNY Distinguished Professor of Sociology and Gender Studies at Stony Brook University. Among his many books are Manhood in America, Angry White Men, The Politics of Manhood, The Gendered Society and the best seller Guyland: The Perilous World Where Boys Become Men. With funding from the MacArthur Foundation, he founded the Center for the Study of Men and Masculinities at Stony Brook in 2013.